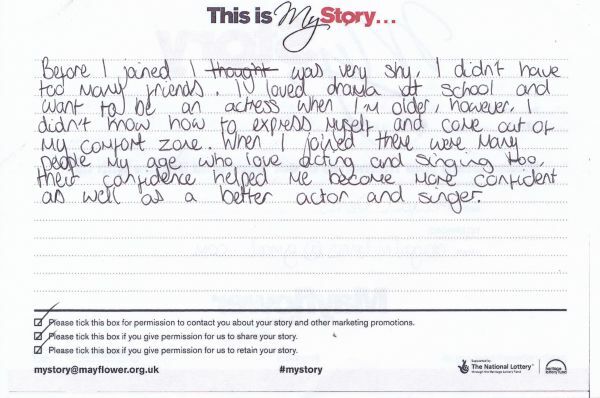 My Story card: Abigail Dennis remembers first joining Mayflower Musical Youth Theatre. Before I joined I was very shy. I didn't have too many friends. I loved drama at school and want to be an actress when I'm older, however, I didn't know how to express myself and come out of my comfort zone. When I joined there were many people my age who love acting and singing too, their confidence helped me become more confident as well as a better actor and singer.